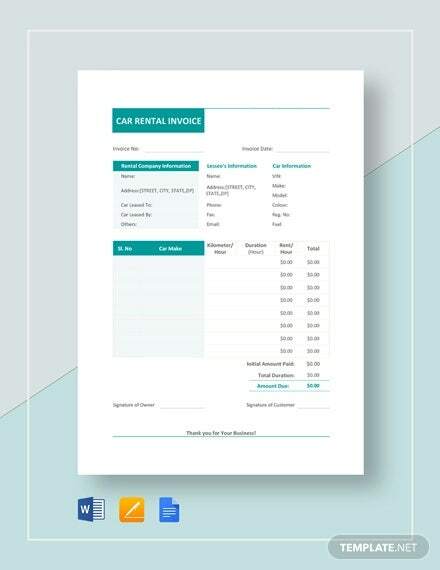 A rental invoice template is a format having all the required rental details which allow you to organise your data effectively. Rental invoice templates are designed to prevent the confusion caused in the different aspects of renting like the amount, duration, renting party and so on. You may also see invoice samples. 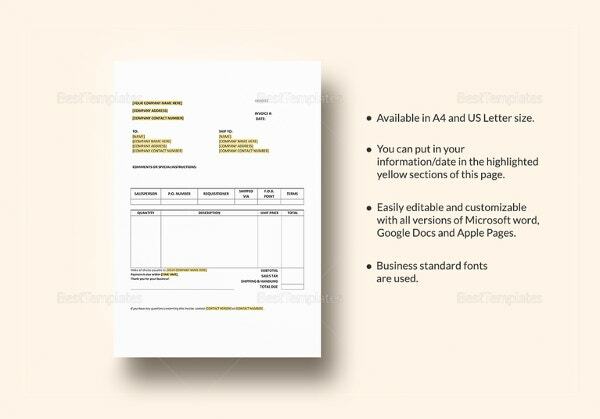 These templates are designed to be simple formats and user-friendly layouts, which can be opened in MS Word and PDF to ensure smooth functioning. 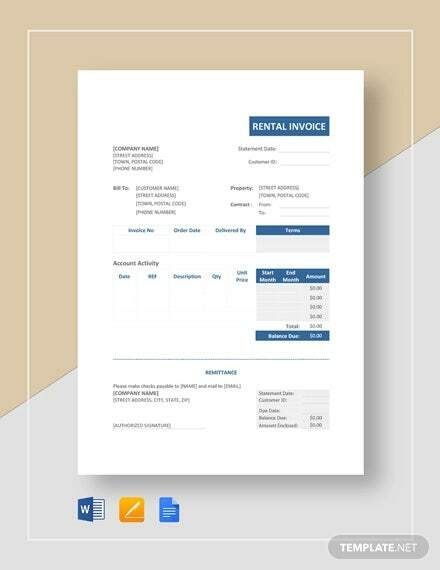 Today, we are bringing you these rental invoice templates which are extensively used in the business environment. 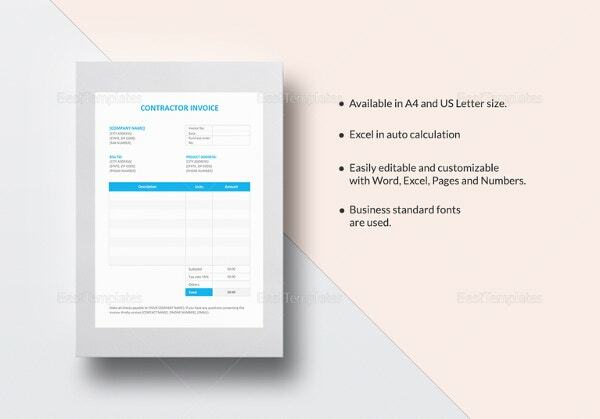 You may also see Roofing Invoice Templates. Cars are a commodity increasingly being rented out in metropolitan areas. This offers the template in a word format. 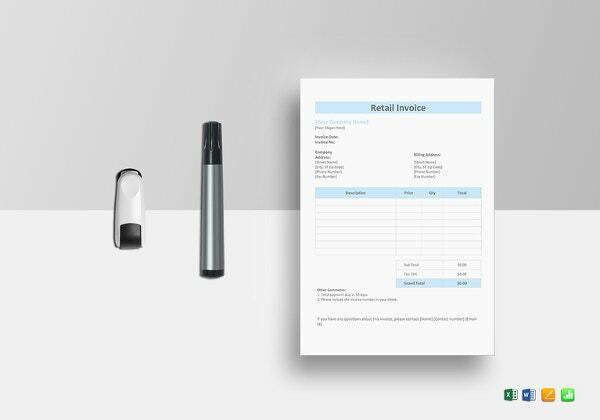 The invoice or receipt is in Microsoft Excel format and also printable on an A4 size paper. 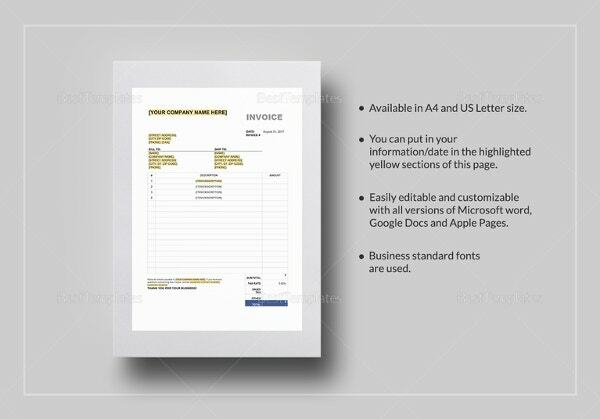 You may also see Painting Invoice Templates. Owning property management services can be really taxing, now with this amazing rental invoice, you have one less job to do. 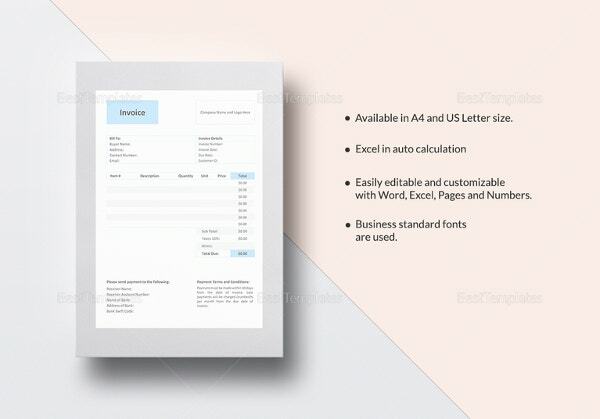 The invoice format is in Microsoft Excel as well as PDF format. 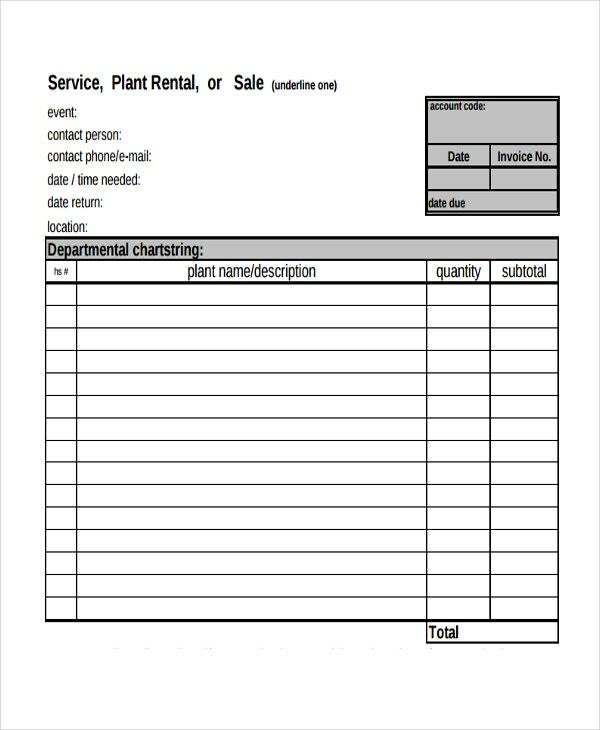 Plant renting services are messy a lot of times, sometimes with a huge amount of loss, this template comes in PDF format and is easily printable and even has a sale template included. It offers a lot of essentials like meter readings, billing dates, billable print plus the excess, the number of months plus the specific number of days and much more, ensuring that you get a hassle-free rental experience. 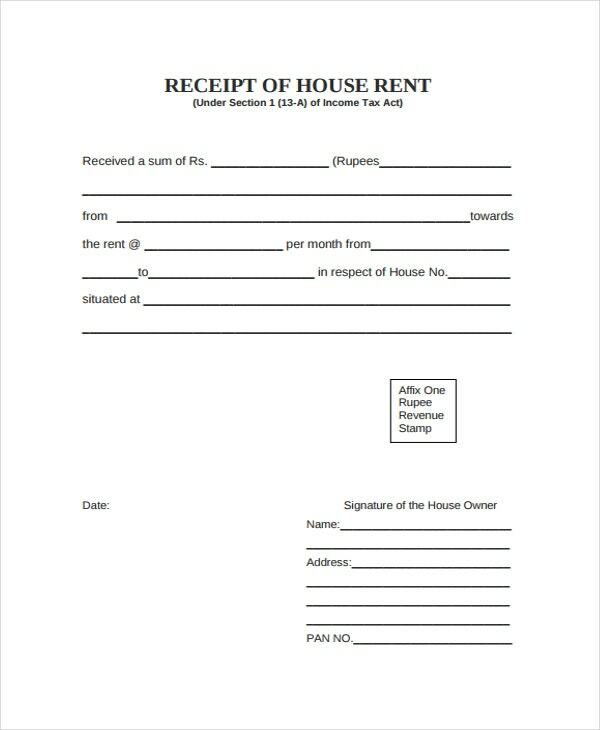 This Receipt of house rent is made under section 1(13-A) of Income Tax Act. Necessary information like revenue stamp space, pan card no. and others are included. It is available in a PDF format. 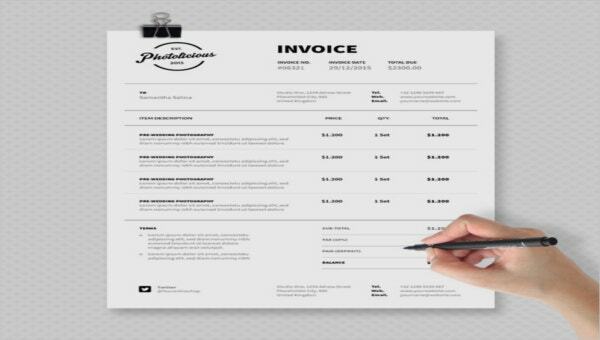 > What are Rental Invoice Templates? 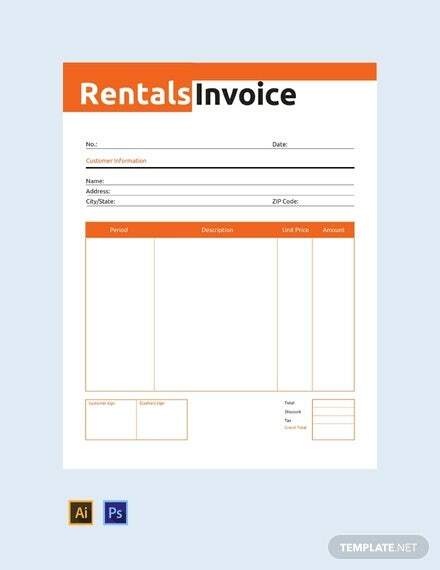 Rental Invoice templates are used to keep all your rental transactions organised in an orderly fashion. This allows the company owners to better ensure that such transactions do not distract them from their original goal. The process of renting often involves a lot of verification and documents like pan card, address proof, and passport. The availability of the rental invoice template eases the process a great deal. 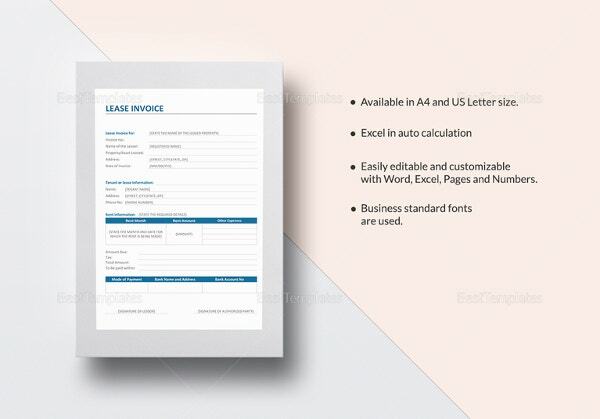 These templates help compile all the required data like the amount charged, per month payment, pan number, the signature of both the parties, at times even revenue stamp, and much more. 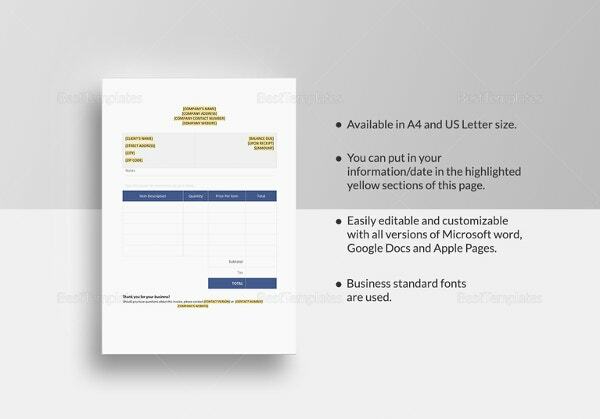 You may also see Radiant Dental Care Invoice Template. 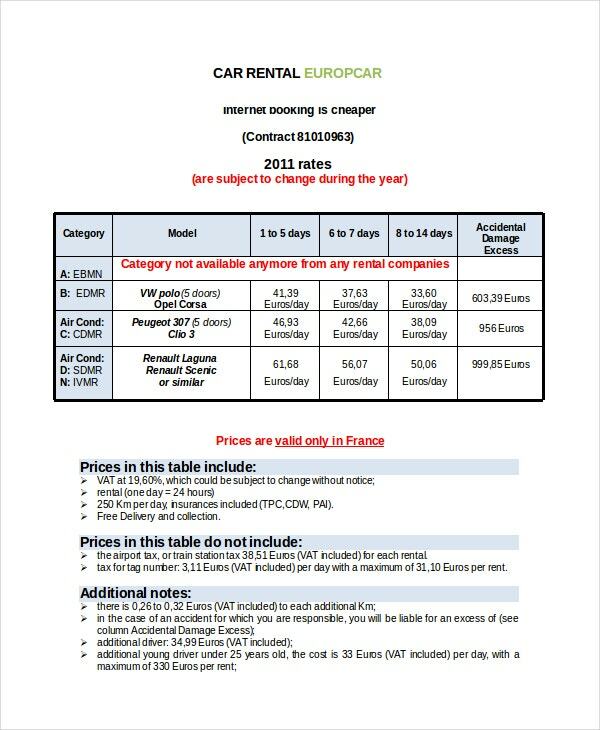 > How to Create a Rental plan for Companies? Creating rental plans depends on many factors like the commodity, the number of days or months, environment or specialization of business and the profit margin. The basic steps to start working on building a rental plan need prior research, the steps are market analysis, SWOT analysis of the company, financial projection, marketing plan and marketing ideas and strategies. The main focus remains on developing and always increasing the supply of consumers to make sure the rising demands helps increase our revenue. 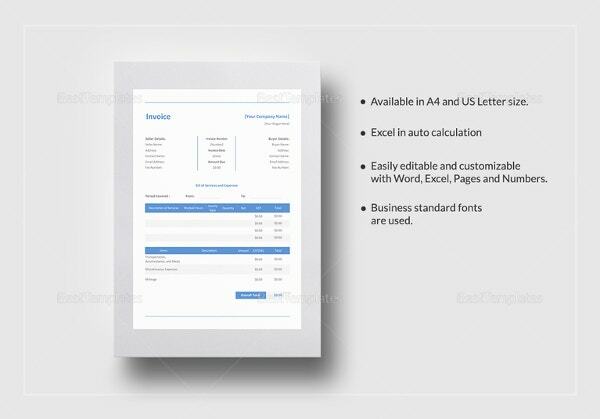 You may also see Elegant Exterior Design Invoice Template. > What is the Role and Purpose of Invoice? 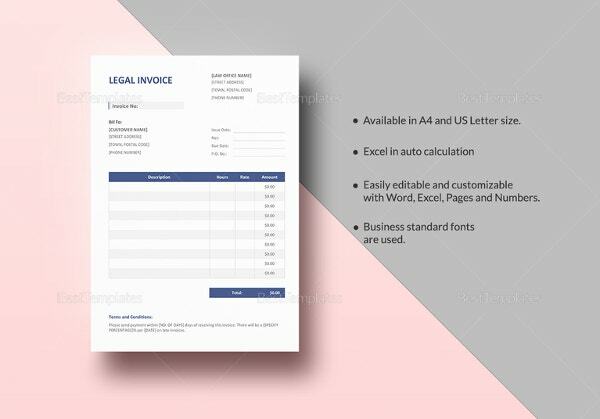 Invoices are a statement for services provided and a proof of the contract which has taken place between the service provider and the service taker. There are many types of invoices specific to the service or product involved. When analysed through a broad category, they can be divided into industrial, commercial property, goods and services, professional, and so on. 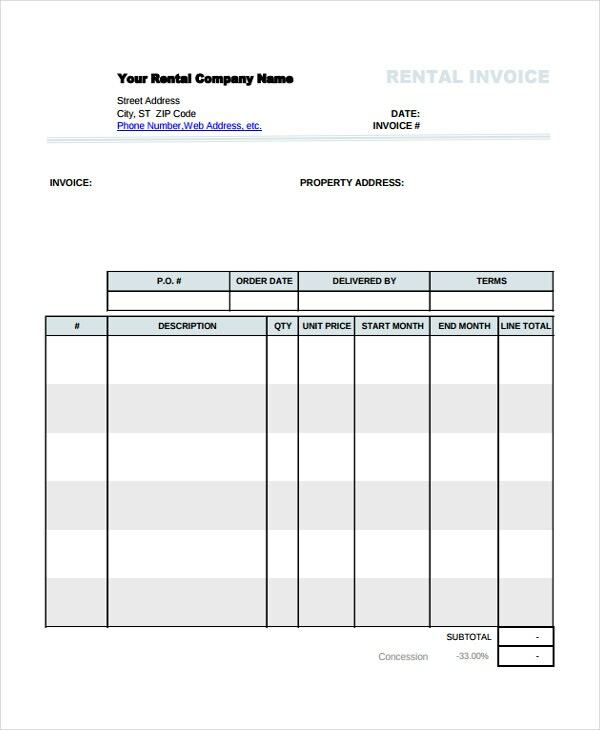 Rental Invoice templates are used to keep track of all your rental transactions. This allows the company owners to better ensure that such transactions do not distract them from their original goal. 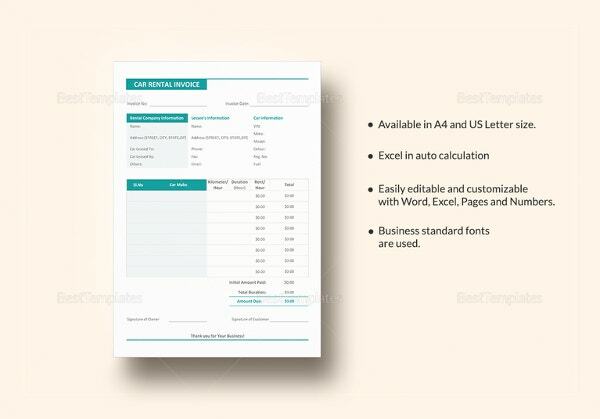 You may also see Beautiful Hospital Invoice Template. 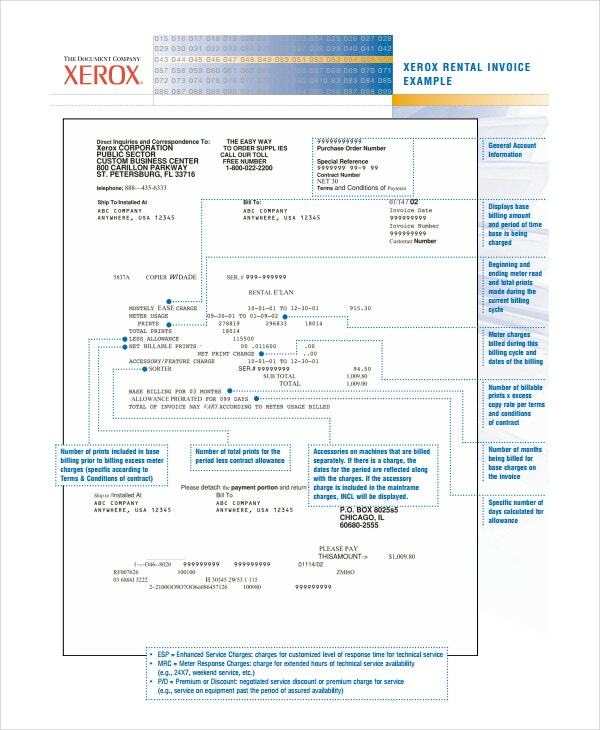 Having covered car, company, plant, Xerox, house rental templates and understanding the scope of templates, the types of invoices, and a brief explanation of types of formats available for your usage make sure you take the right decision and have a successful undertaking.